Old-world touches radiate through this highly sought out Pre-war Shore Road building. Make this spacious & airy 1 bedroom coop your own. Newly re-finished parquet floors throughout, huge walk in closet/pantry, eat in kitchen, washer/dryer in unit, and king sized rooms make it easy to envision the possibilities of making this your future home. The Express bus at your doorstep makes the commute to NYC easy; enjoy walks or biking along Shore Road Park with the pathway entrance right across the street. 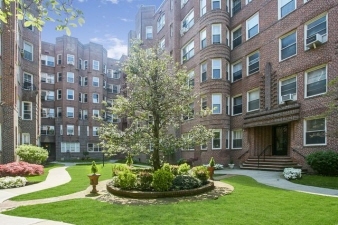 Enjoy the convenience of Bay Ridge living with all restaurants & shopping just a short distance away.